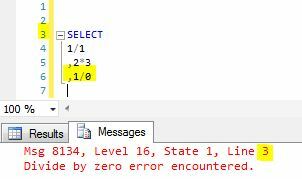 When you run scripts in SSMS and get an error, the error references a line number in the t-sql statement that caused the error. 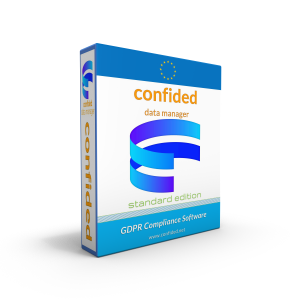 If you double click the error, SSMS will take you to the error. This works even if you have multiple statements in your query window. So it can be a really helpful feature. But if the error is in code that isn’t in the query window (for instance in a referenced stored procedure), nothing happens when you double click. 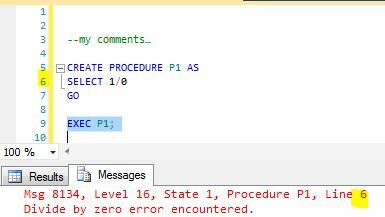 In that case it can be good to know how SSMS calculates the line number in error messages. Also, the error message line number references the DML statement that contains the error, not the actual line number (column in this case) where the error is. This statement will generate an error that indicates the row number for the SELECT statement, not the “1/0” column. Display Line Numbers in a SQL Server Management Studio Query Window (MSSQLTips). Finding SQL Server Code Errors using Query Analyzer (MSSQLTips).